In the history of the defense of Sevastopol, the 365th anti-aircraft battery, called the Fort Stalin, played a special role. It occupied hill 60 and was one of the key fortifications preventing the advance of the German army on its way to Sevastopol. 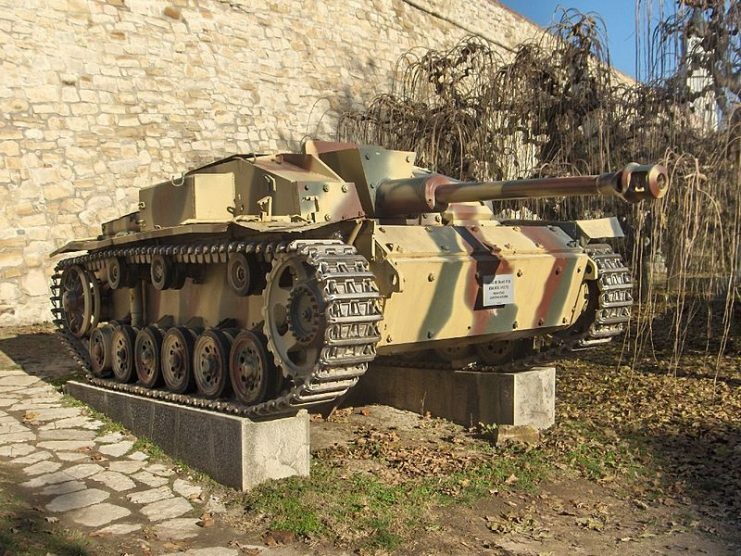 According to the testimony of military historians and eyewitnesses, the Germans gave names to objects that provided them with persistent and unexpected resistance. 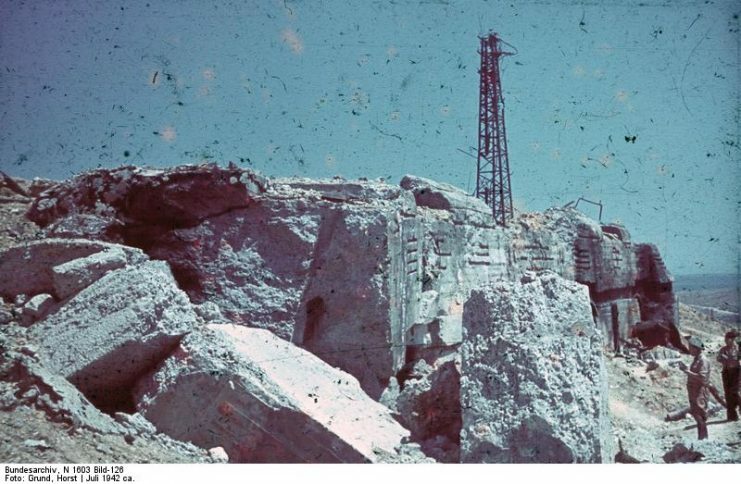 The Germans called the Soviet fortifications a “fort” to justify their prolonged setbacks near Sevastopol. 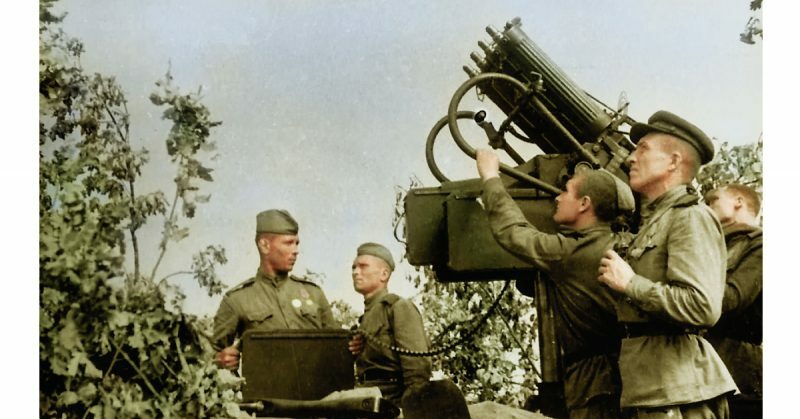 For example, the 35th coastal battery was named the fort “Maxim Gorky“, an anti-aircraft battery in the area of the Northern Fort – Fort Lenin, and the legendary 365-y antiaircraft battery was called Fort Stalin. In December 1941 and June 1942, the 365th battery performed two feats that made it famous. 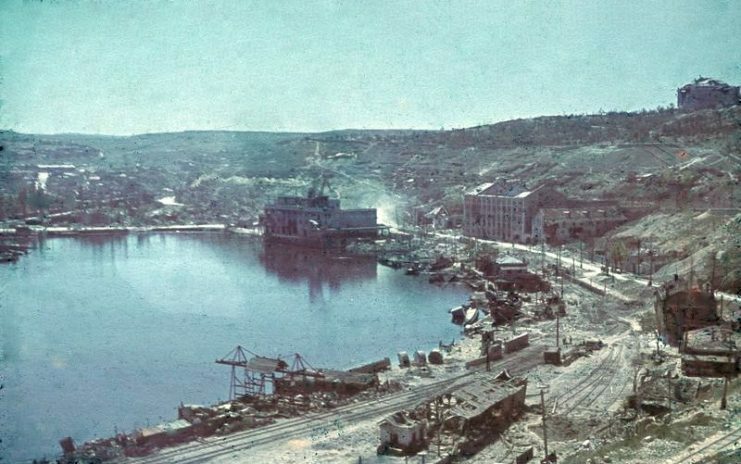 In the books and articles, historical research and memoirs of the participants in the defense of Sevastopol, this battery was invariably called “the battery of Lieutenant Vorobyov“. Hill 60 was a strategically important point for the Soviets. For the Germans, it was a serious obstacle for a long time. The history of the 365th battery began in 1855 when one of the mountain redoubts was built on a triangular hill. In 1876 redoubt was rebuilt, and at the turn of the nineteenth and twentieth centuries, a large barracks was built below the redoubt. In 1914, four 75-mm cannons were installed in the redoubt on concrete bases, arranged along a square. The first battery commander was Nikolai Andreevich Vorobyov. On December 31st, 1941, after a massive bombardment of the fort of Stalin, the Germans with the help of tanks and infantry went on the attack. 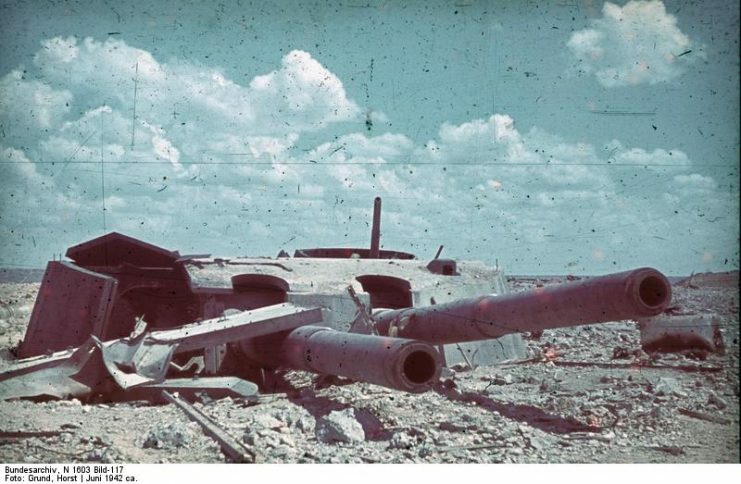 To combat tanks, the 365th battery had 2 76mm guns, one of which destroyed three tanks. Nikolai Vorobyov in that battle used military cunning. 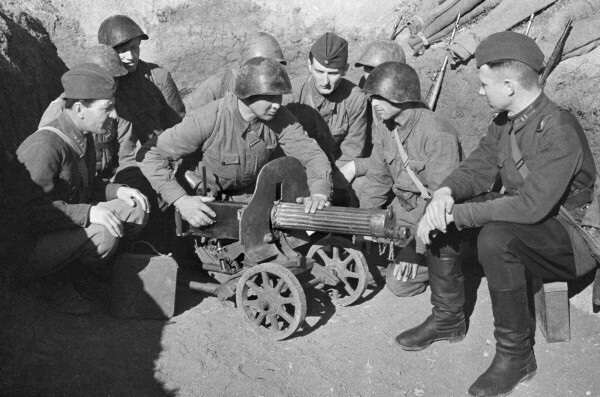 With the help of a signaling device (rocket launcher) taken from a German sniper-spotter, he sent the fire of German guns to German soldiers. However, due to the resistance of the defenders of Sevastopol, Meinstein was forced to give orders for a temporary suspension of the offensive, having previously received Hitler’s approval. On June 7, 1942, Nikolai Vorobiev received a serious wound to the head and was evacuated. There he received the award of the Hero of the Soviet Union. 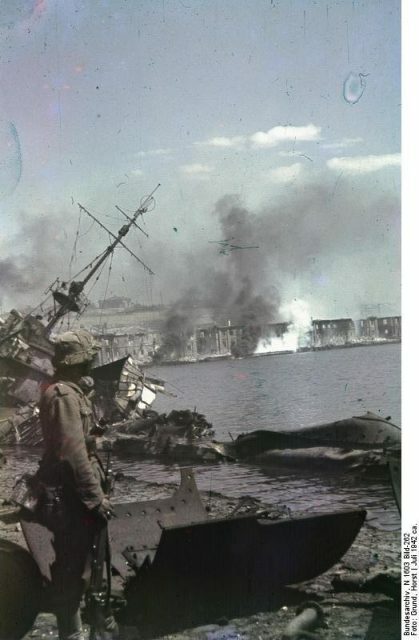 On June 8, 1942, Lieutenant Matveyev took the command. However, the next day during the battle, a building he was using as cover was hit with a projectile and he was buried under rubble from it. 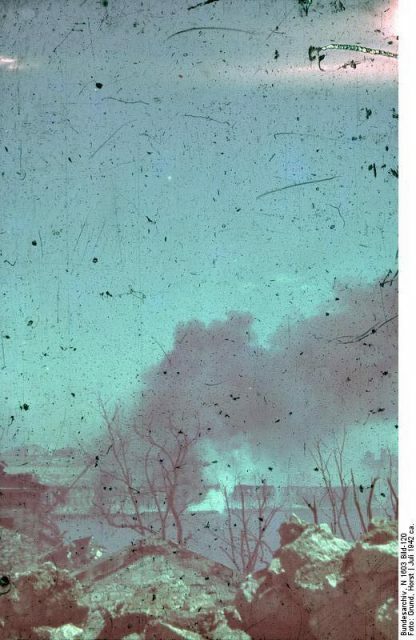 When Matveyev was finally found among the rubble, he was deaf and could hardly see. For this reason, he also had to be evacuated. June 10th, 1942, a senior sergeant Ivan Pyanzin who became the last commander of the battery 365 replaced Matveyev. Under his command, the soldiers of the battery destroyed 11 aircraft (5 according to other sources), three tanks and about 100 German soldiers and officers. The daily attacks of the German Army exhausted the defenders of Fort Stalin. The number of wounded and dead was growing every day, but it was impossible to leave the fort. The biggest problem was that ammunition, water, and food were running out. On the night of June 12th, 1942, six sailors were sent to the location of the 365th battery. Their main goal was to deliver food and ammunition to soldiers of the 365th battery. The Germans did not notice, the sailors left the car at the Bratsk cemetery and part of the way moved on foot. Likewise, before dawn, most of the wounded soldiers were evacuated. 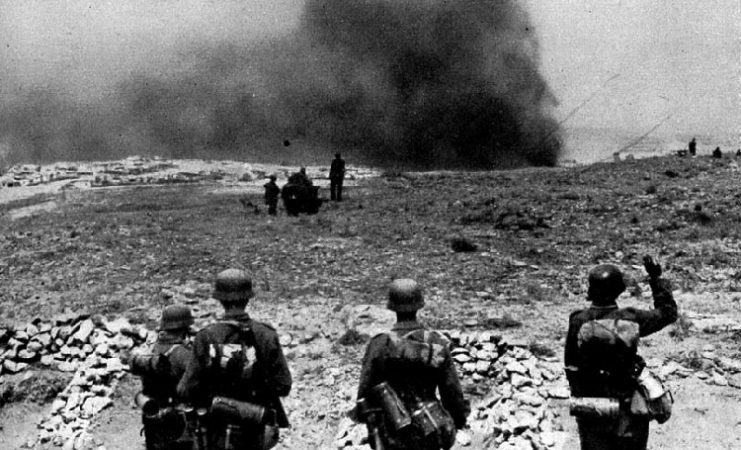 On June 13th, 1942, the German soldiers carried out another attack. During the battle, Pyanzin was seriously wounded but did not abandon his firing position. This time the Germans managed to get close to the guns. By order of Pyanzin, the remaining defenders turned to counterattack and clashed with the Germans in hand-to-hand combat. The attack was repulsed, but most of the Soviet soldiers died. These were his last words. After them, several Soviet artillery batteries opened up concentrated fire at the positions of the hill 60. All the remaining defenders of Fort Stalin were killed. 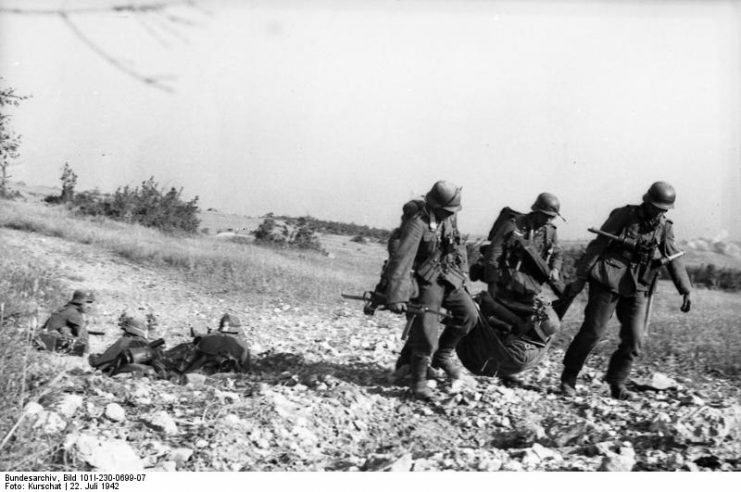 This attack caused considerable damage to German troops and forced them to retreat, but not for long. Later, under the rubble, the body of Pyanzin was found and was buried in the cemetery of the village of Dergachi near Sevastopol. On July 24, 1942, senior sergeant Ivan Pyanzin was posthumously awarded the title of Hero of the Soviet Union and the Order of Lenin. In his honor, a monument was erected in Sevastopol, school No 14 and a street were also named for him. For 213 days, the 365th anti-aircraft battery took part in the defense of Sevastopol. During this time, they shot down 11 German aircraft (according to other sources 5), destroyed 6 tanks (according to other sources – 8) and repulsed about 15 German attacks. 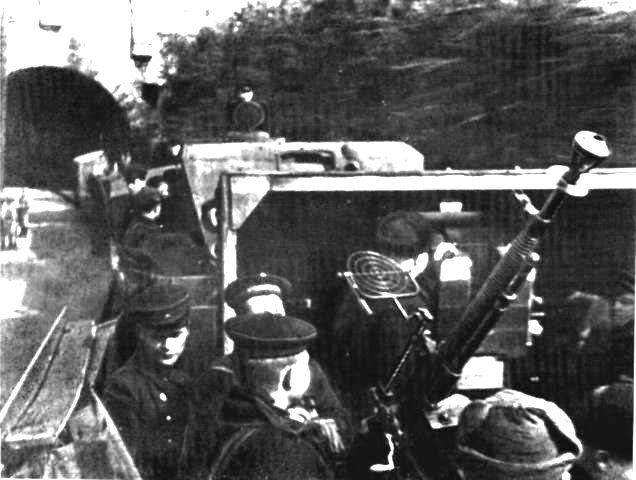 Almost all of the battery’s composition died during the fighting. Three of the personnel of the battery received the title of Hero of the Soviet Union.